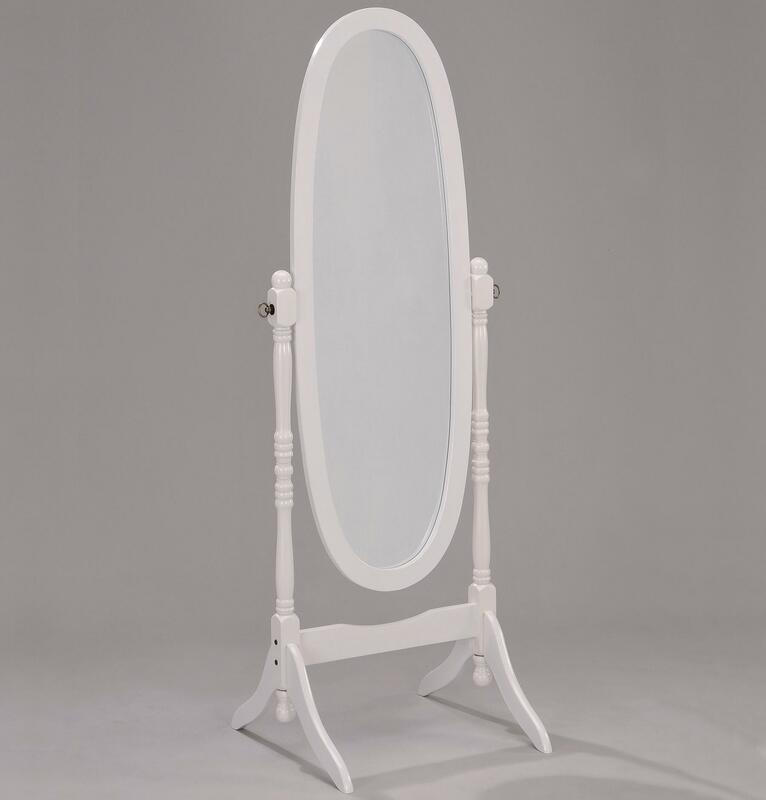 Add classic and traditional design styling to the bedroom in your home with this distinctive white cheval floor mirror. Featuring contoured mirror legs, with a tilting long oval mirror, and a light white finish, this mirror adds the feeling of light and space, as well as a functional furniture piece to your home. The Miscellaneous White Finish Cheval Mirror by Crown Mark at Miskelly Furniture in the Jackson, Pearl, Madison, Ridgeland, Flowood Mississippi area. Product availability may vary. Contact us for the most current availability on this product. The Miscellaneous collection is a great option if you are looking for furniture in the Jackson, Pearl, Madison, Ridgeland, Flowood Mississippi area. Browse other items in the Miscellaneous collection from Miskelly Furniture in the Jackson, Pearl, Madison, Ridgeland, Flowood Mississippi area.